5 Ideas for Starting an Agriculture Business Aug 19, 2014 With its association with an honest days work and healthy outdoor living, it’s no surprise that increasing numbers of people in today's office bound.. The History of Pesticides: Part III, Sulphur, Copper and Arsenic Jan 31, 2019 In previous posts, I told the story of today’s controversial pesticides, and then went back to describe the pesticides famously banned since World War..
Wholesale Nursery Management course online. Learn to produce great plants in a commercially successful way. 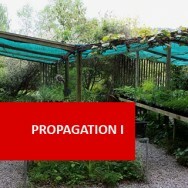 Managing a production nursery involves more than just propagating and potting up plants. Even the small nursery must be able to not only produce plants, but do it at a pre determined cost, then sustain those plants before and during marketing. The nursery industry currently has a real need for people with skills and knowledge in managing production in plant nurseries! 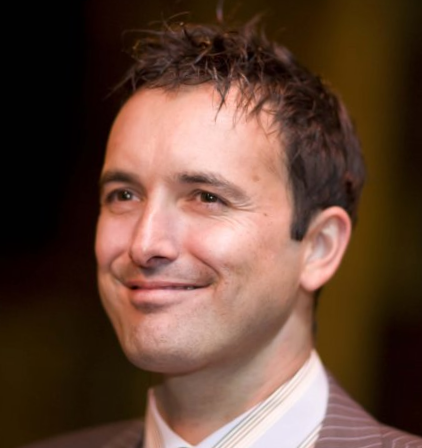 This course provides a solid grounding for developing those skills. 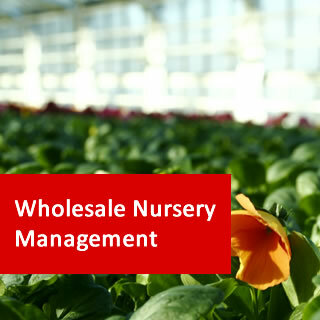 Describe how site characteristics influence the establishment and management of wholesale nurseries. Explain management structures and work scheduling in wholesale nurseries. 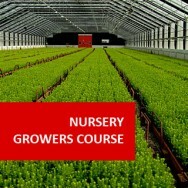 Describe the management of pests and diseases and plant nutrition in production nurseries. Explain the physical and chemical properties of growing media used in production nurseries. Describe the techniques and equipment used to irrigate plants in nurseries. 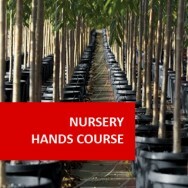 Describe strategies used by production nurseries to increase sales. Explain criteria for selecting plants and developing a nursery stock list. Fertiliser use and plant nutrition. 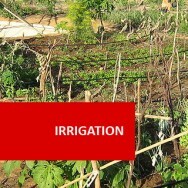 Use of liquid fertilisers through irrigation. Greenhouses and other protective plant structures. Nutrition: the plant derives much of its food from nutrients in the soil. Support: the soil holds the plant firm and stops it falling over. Water and air: the roots absorb both water and air and so the soil must contain both. Soil with too much air leaves the plant starved for water. A soil with too much water leaves the plant starved for air. Soils vary with respect to the above factors. For example, a sandy soil provides less support than a clay soil. A clay soil generally provides less air than sand but has a greater capacity to hold water. An organic soil usually has a good ability to hold water, but it does not always provide good support. Sand, loam and clay describe the texture of a soil. The type of material that makes up a soil affects the movement of water and air through the soil, the root penetration into the soil, and also the looseness and workability of the soil. Colloids: less than 0.002mm in diameter (these are either clay or organic). Soil will also include a certain amount of organic matter. Colloid particles are small enough to disperse in water. Improving the soil structure has the effect of flocculating the particles, which means clumping the particles together. Texture can be classified into 7 classes and 16 grades. The following table gives examples of the various classifications. The last word in the classification indicates the dominant component of the soil. Loam has an equal percentage of sand, silt and clay. The rate of water percolation is another way to describe the texture of soil. Percolation is the natural movement of water through the soil, and soils percolate water at different rates. Soil should be watered only as much, and as fast, as the soil can absorb without runoff. Sandy soil absorbs more than two inches (5cm) of water per hour. It is very porous, with large spaces between soil particles. Little water is retained and the sandy soil dries out quickly. Loam soil absorbs from 0.25 inches to 2 inches (6mm to 5cm) per hour. The soil is loose and porous and holds water quite well. Clay soil absorbs less than 0.25 inches (6mm) of water per hour. Clay soil is dense with few air spaces between particles and holds water so tightly that little water is available for plants. Soil structure is described according to shape, size and grade, where grade refers to soil strength and degree of development. Good structure in a soil means that the mineral particles in the soil are bound together in crumbs, known as peds, of various sizes which are loosely arranged into larger groupings. This gives a well-structured soil its crumbly feel or appearance. This is known as a friable soil and provides plenty of pore spaces between the crumbs allowing good water penetration, aeration, and ease of penetration for plant roots and other soil life. The addition of exchangeable calcium: usually applied as lime or gypsum. The killing of soil life with repeated applications of chemicals. A well-structured soil has aggregates arranged in such a way that the soil is resistant to crushing and compaction. There should be many spaces and channels, known as pores, between the aggregates to allow oxygen to reach the roots as well as movement of excess water through the soil. The following table gives a diagnosis of soil type depending on how it feels between the fingers. Does the soil stain the fingers? Does the soil bind together? Does the soil feel gritty? Does the soil feel silky or sticky? Does the soil make water cloudy? Organic soils are soils containing a large proportion of organic matter (more than 25%). These are usually black or brown in colour and feel silky. It is possible to get organic types of all of the above soils. A simple test of the organic matter content of a soil is to place a small amount in a container of water. Organic matter tends to float to the soil surface, so the more material that floats, the higher the organic matter content. Aeration and drainage of a growing media will mostly depend on the amount of pore space available in the growing media. The pore space can be defined as the percentage of the media’s volume that is not filled with solids. For example, a total pore space of 50% means that in every litre of media there is 50% pore space and 50% solids. Total pore space can vary from as low as 30% in a heavily compacted soil up to 95% in some peat. Good garden soils contain about 50% total pore space while good potting mixes and propagating media may have up 60-80% total pore space. Pore shape and size are also important. Large round or irregularly shaped particles result in bigger air spaces than flat or small particles. Large pore spaces allow greater movement of air and water. However, if the growing media consists of just large pore spaces, the water holding capacity of the media will be poor. The ideal situation is a combination of small and large pores spaces that provide good aeration and drainage but sufficient water holding capacity. The rate of absorption of water and nutrients is affected by the temperature of the soil. Too much heat or cold will slow the whole metabolism down. Soil temperature is not always the same as atmospheric temperature. Mulching a plant or adding organic matter to the soil will even out, or lessen, the fluctuations in soil temperature. As with most organisms, plant roots will grow within a particular range of tolerance which will vary from one species to another. In rough terms, soil pH can be described as a measure of the relative proportions of positive and negative ions in the soil. In pure water they are equal and so the pH of water is normally 7. A pH of 7 is neutral. A scale of 0 to 14 (called the pH scale) is used to record this measurement of pH. Most plants prefer a pH of 6 to 6.5 (i.e. slightly acid), although, there are many exceptions. Plants may grow outside of their ideal pH range, but they will not grow as well. If the pH is below 4.5 or above 8 it is no good for the vast majority of plants. You should check the pH preferences of individual plants and the pH of the soil into which they are to be planted before adjusting the pH or planting. Soil pH can be adjusted by the use of chemicals known as soil ameliorants. These are soil additives used to improve soil characteristics. Ameliorants include Lime (to raise pH) and Sulphate (to lower pH). However, the soil will tend to buffer, or modify, the effect of these chemicals and so calculation of the amounts required is often difficult. The general rule is to apply small amounts until the required result is obtained. It is better to add too little than too much! When lime is added to break up hard clay soils, it will also raise the pH of the soil making it more alkaline. The addition of organic matter such as manure or compost, which contains weak acids, will cause the pH to drop. If fresh manure is used it can cause a drastic drop in pH. Sulphate of ammonia will also cause pH to drop.